Skipton - Food is the essence here with customers travelling from far and wide to enjoy delicious freshly prepared local Dales bred lamb, beef and seasonal game. Since 1983, the Angel at Hetton has become a place to enjoy the finest of food, good real ales and a wine list hand picked of extraordinary length and surprising value. boasts delicious local food and great wine. This contemporary restaurant with rooms promises a relaxed environment in which to enjoy your meal. The newly transformed conservatory is the perfect place to conclude your evening, with cosy seating and the best views in Wharfedale; overlooking the river, the picturesque village of Burnsall and across to the hills of the Yorkshire Dales - add in delightful banter from a friendly team and you are sure of a fantastic night out. In they use seasonal, local produce wherever possible, meaning the dishes have the quality and freshness that makes them so delicious. The head chef creates modern British cuisine with a Yorkshire twist and the seasonal ingredients give you the very best menu throughout the year. 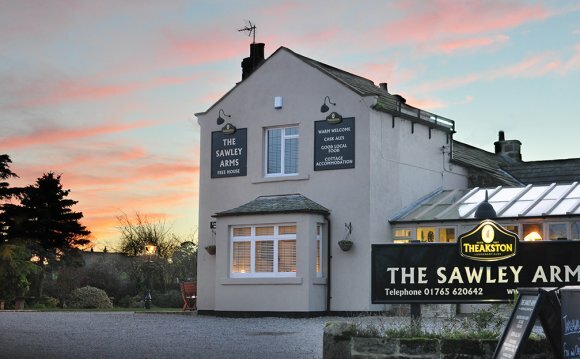 - A family - run establishment with great food and themed rooms, set in the picturesque surroundings of Yorkshire. Their menu showcases unpretentious modern British flavours and features the best available local seasonal ingredients. , near Skipton, has long been one of Yorkshire's landmark pubs. Famous as much for its hospitality as it is for its beautiful location. But now it's about to become an even bigger attraction...as a Ribble Valley Inn...and with a menu specially created by Northcote's Michelin Star chef, Nigel Haworth. If you're a regular at a Ribble Valley Inn, you'll already know why they haveve scooped many of Britain 's top awards and people come back...again and again.